Michelle Pahl was a two-time NJCAA All-American setter, led the Scots to a NJCAA Region IV championship and seventh place finish at the NJCAA Division II national tournament in 1998. 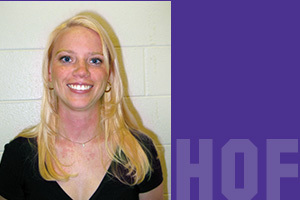 She was part of the first team to compete at the NJCAA national volleyball tournament. Pahl was also named as the Illinois Skyway Conference MVP in 1998. After leaving MCC, Pahl coached at the Crystal Lake-based Sky High volleyball club for three years and Crystal Lake High School for two years. Being inducted is a great honor, It's more of a personal honor, but it was a team sport that got me the honor.